The Columbia Gorge of Washington State and Oregon is an amazingly beautiful place. It is carved by the Columbia river and separates the two states. The waterfalls that I have featured here on this blog come from the glaciers of Mt. Hood, which towers over the Gorge. I have lived in the Portland area for 6 years and I have barely scratched the surface of places to visit here. 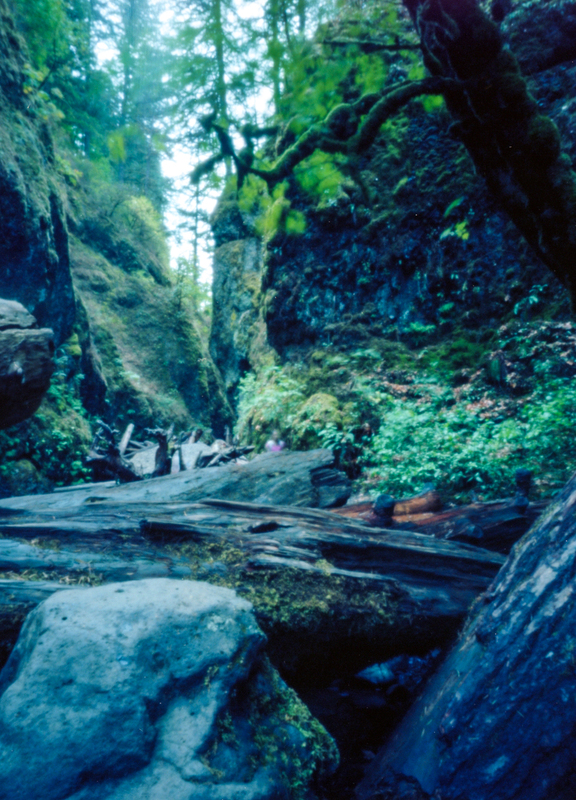 One of the places I’d been meaning to check out but hadn’t was Oneonta Gorge. I got to check it off of my list at the end of August and I was thrilled. 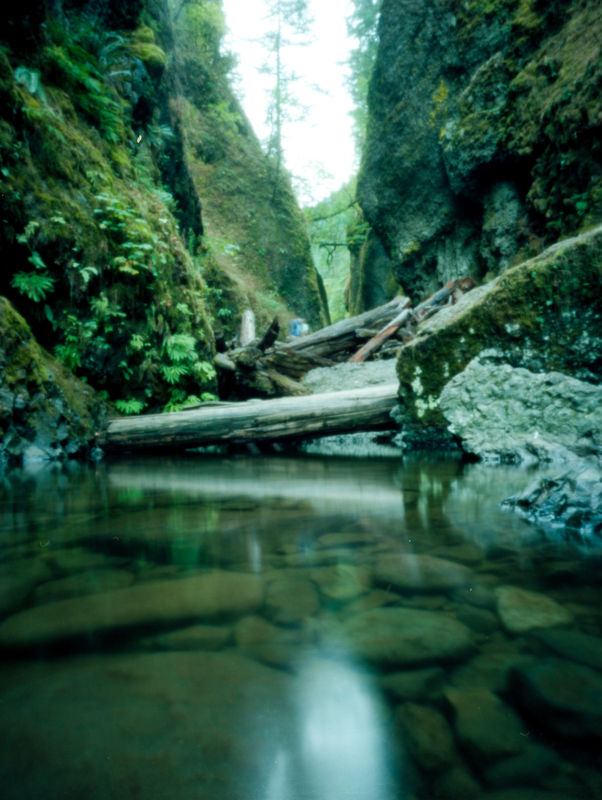 Oneonta Gorge (pronounced On-ee-on-ta..it’s so fun to say) is located near Multnomah Falls in the Columbia Gorge. It was once a hidden treasure of the area but has gained popularity and is now a very busy place. On hot summer days I imagine it competes with Multnomah Falls as far as tourists go. 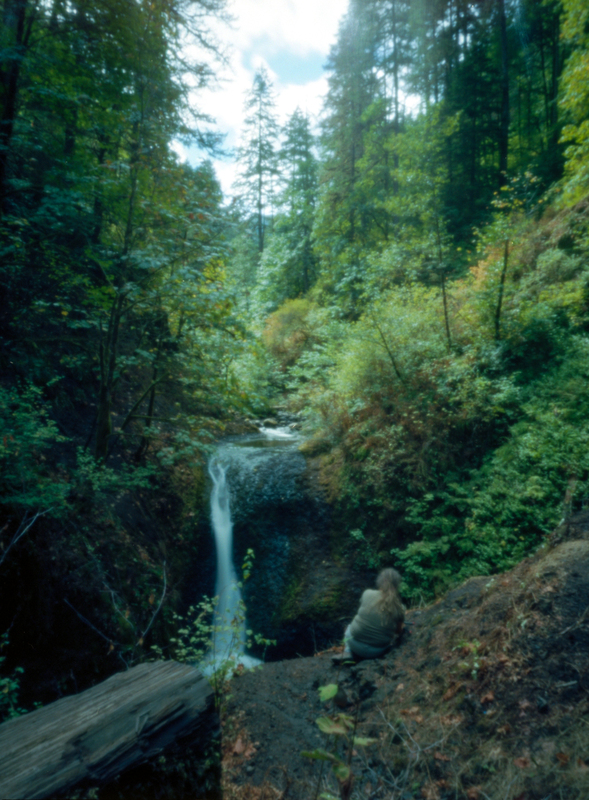 It is a hike through a creek to the lower Oneonta Falls, over a giant logjam and through water that is chest high. I visited with my friend Donna and we were both a bit wary of the logjam and decided that we didn’t have to climb over it we didn’t feel like it. We made our way through the short but beautiful hike along the creek. Eventually we made it to the logjam. There were a ton of people on it and we waited our turn, shooting pinhole photos while we waited. Donna climbed up while I still decided waited for a long pinhole exposure. 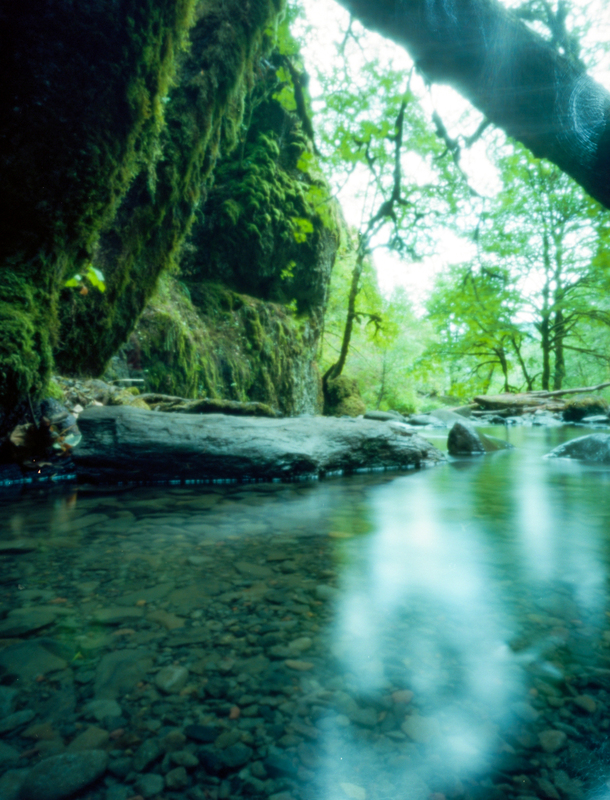 Maybe two long pinhole exposures. I had to scope out the scene carefully. If you are in the area and are feeling adventurous, and it is a hot day in August, I highly recommend this hike! I will have to go back next Summer. For these shots I used my Terrapin Bijou and Ektar 100. 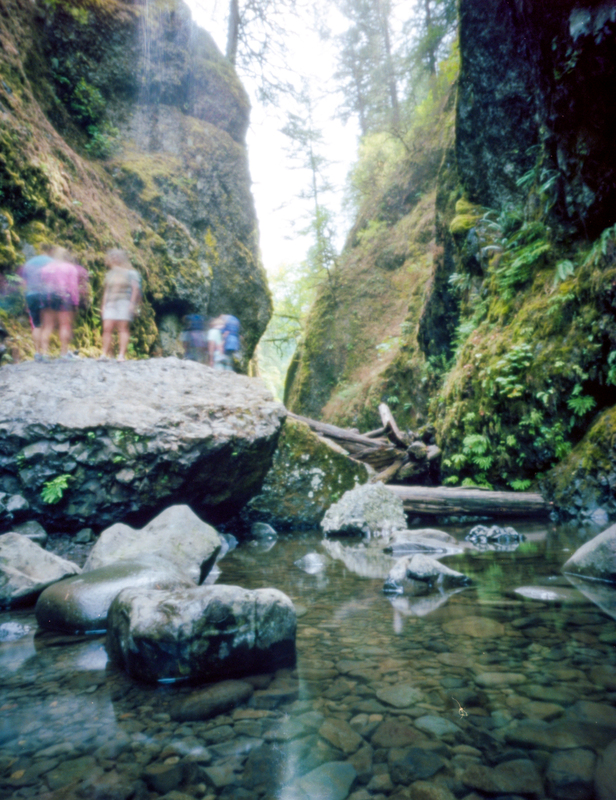 Another lazy blog post today: Check out my latest pinhole adventure at Pinhole Obscura. Lovely Photographs. What a magical place!